What this all adds up to is a serious erosion of democratic principles in favour of an oligarchy. Instead of a federation of cooperating states we end up with a super-state. If we vote for the Lisbon Treaty we will never be asked to vote again! So I am asking you all to vote "No" for a better Europe and to send the strong signal that we, the people, do not want to be sidelined in the political process. 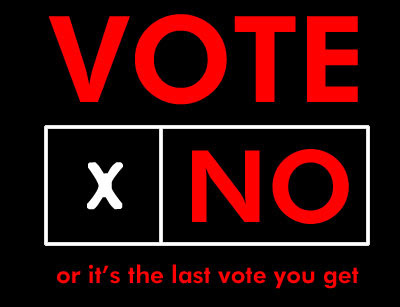 The non-partisan Rock The Vote has all the factual info you need to get out there and vote!